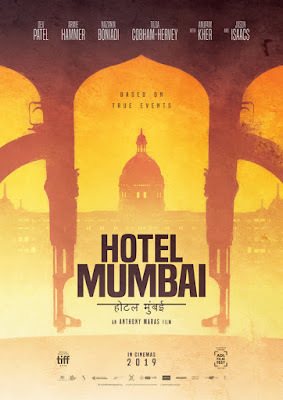 ARMIE HAMMER DEV PATEL HOTEL MUMBAI JASON ISAACS SCARY FIRST TEASER FOR HOTEL MUMBAI IS HERE WITH ARMIE HAMMER, DEV PATEL AND JASON ISAACS! SCARY FIRST TEASER FOR HOTEL MUMBAI IS HERE WITH ARMIE HAMMER, DEV PATEL AND JASON ISAACS! this January in Australia, in March in USA and then in April and May in Europe, is based on the true story of the devastating terrorist attack on the Taj Mahal Palace Hotel in 2008. The terrifying assault brings together the guests and staff of the luxurious hotel including wealthy new parents David and Zahra (Armie Hammer and Nazanin Boniadi), Russian businessman Vasili (Jason Issacs) and newly promoted waiter Arjun (Dev Patel) in a desperate fight for survival. This story celebrates humanity, compassion, courage, resilience and the unwavering desire to survive.